If you are looking forward to playing the new Pillars of Eternity 2 Deadfire game which is currently raised more than $4 million via the Fig crowdfunding website to help fund the sequel to the hugely popular Pillars of Eternity game. 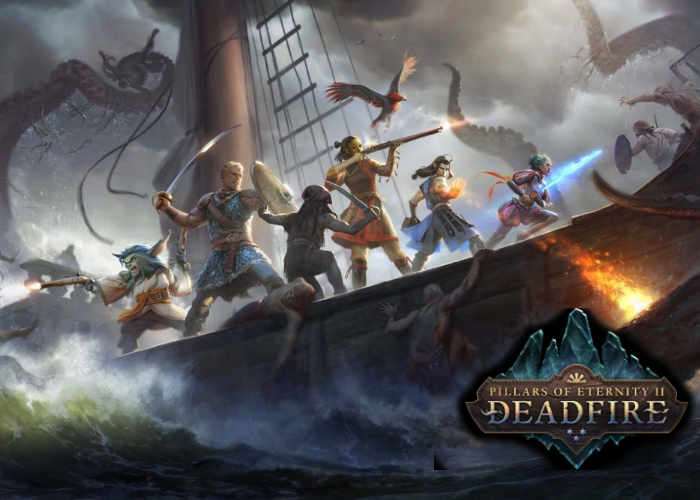 You may be interested in the latest update which is being released by the games developers Obsidian, explaining more about the highly anticipated addition of the new Ships within Deadfire. Which allow you to have a mobile base of operations rather than relying on stone castles. There are currently less than 14 hours remaining on the crowdfunding campaign with pledges starting from as little as $29 for digital downloads, when the game will be launched sometime in Q1 2018. Yes, we can finally confirm what we’ve been keeping secret this whole time: a new and exciting feature that takes the Pillars of Eternity experience to a completely new stage, which adds open-world exploration and discovery to the gameplay on both land and at sea! As many of you guessed correctly, in Deadfire you can be the captain of your own ship. With ships, you have the power to play the game differently; now, you can freely explore the islands of the Deadfire using the new world map. You want details about the ships? No problem. Your ship is a Dyrwoodan sloop called the Defiant, purchased for you by the Steward of Caed Nua, who has made the journey to help you (part of her, anyway) on your quest to hunt down Eothas, and is one of the first allies to join you on your adventure. The ship acts as your mobile base of operations, carrying you and your comrades wherever you command. Companions will stay on-board while not in your party, and you can even go below decks to your captain’s quarters for rest and relaxation. You can customize, upgrade, and add personal touches to the Defiant. This includes changing your sails, painting your hull, and flying flags to show your personal colors/faction allegiance. You can also improve the performance of your cannons, sails, and hull, beyond just their cosmetic appearance. For example, Dwarven cannons add extra firepower in naval battles, or while upgraded sails give you an extra bit of speed to outmaneuver your opponent. If we hit our $3.5 million stretch goal,we’ll add even more new and amazing, unlockable upgrades for your ships. And if we hit our $4 million stretch goal, we will add other ships that you can find, purchase, or even steal during your adventure – to make them your own.